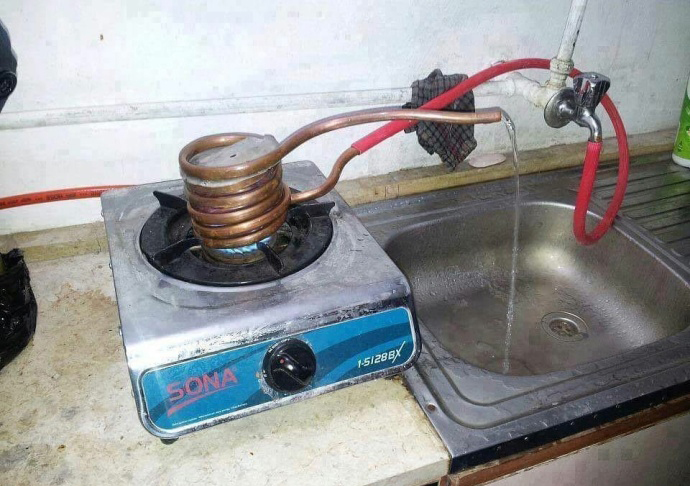 Engineer emergency invention: real-time water heater. Some people say the rubber tube will be burnt. However, there is flowing cold water behind it. With such flow rate, the copper pipe near the rubber will not be very hot. A perfect invention.